Our tadpole died. Nope, I don’t wanna talk about it. Well…. okay. We took a 4-day trip down to New Orleans a couple of weekends ago, and when we got back he was dead. I’m not sure what happened. We had cleaned his tank and given him food before we left. Ray had also changed the location of his tank to give him more exposure to sunlight, and I wonder if it just got a bit too warm in the house for him at some point in the day. Anyway, it was sad to come home to a dead tadpole, and I felt defeated because it was our first hands-on biology project. I ordered a new tadpole the very next day, and fourteen bucks and 5 days later guess what… the new tadpole arrived… DEAD. So, ladies and gents… that’s a wrap. Maybe one day when it rains we’ll go scoop up our own local tadpoles, but until then, my other options are to watch a caterpillar/butterfly transformation (nope), build an ant farm (nope) or build a worm colony. I think the worms will be fun (and gross, yes, but I have to get over it), so as soon as I get my hands on the supplies, we’ll get to it. 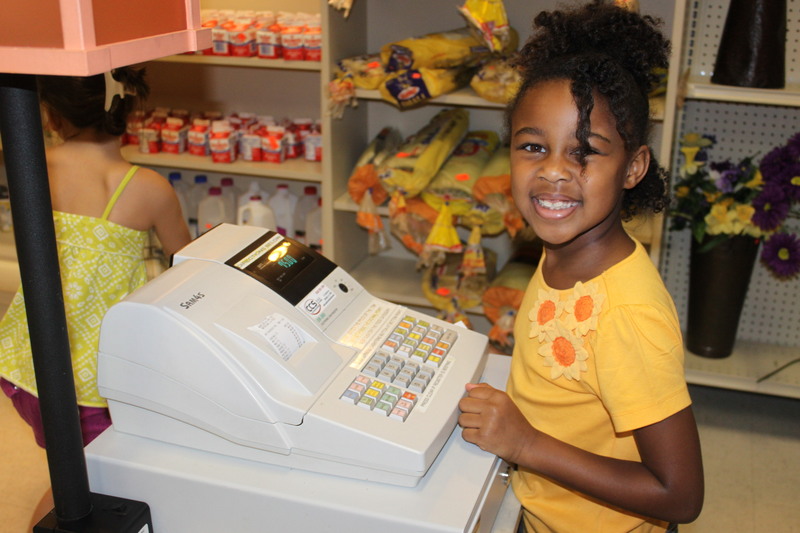 By the way, here’s a snapshot of my sweetie working the cash register at the “grocery store” inside the New Orleans Children’s Museum. Previous PostPrevious Ain’t We Cool?